This stuff has been irrefutable, yet we have some numbskull now here trying to use garbage to put doubt, instead of going solar like I did 13 years ago. Like an overbreeder trying to debunk overpopulation, reminds me of the A-wipes that were at TES. ANOTHER garbage head here!!! Who let the dogs in?!!! 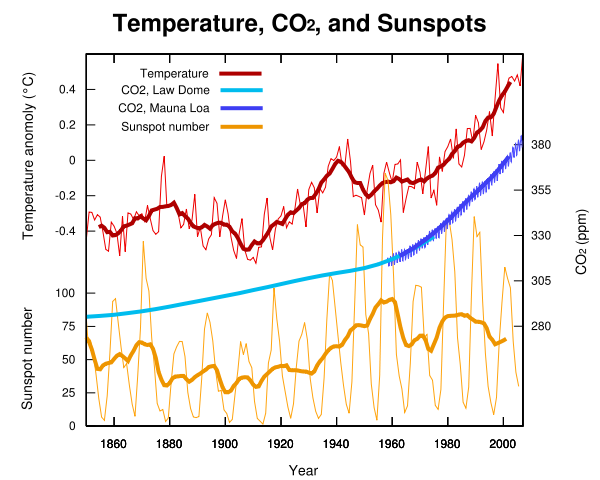 Looking at the seasonal cycle, we see the true CO2 absorptive ability of the biosphere. The present 295ppm is significantly higher than the 180ppm average of the last 1.1 million years, and significantly higher than the 230ppm of the max in the range of that period. Yet you still have denialists here thinking or pushing that humans are not to blame for the malevolent climate changes of now and worse in the relatively near future. This used to be a forum free of such nonsense as spewed by snow and cotton. Monitoring stations across the Arctic this spring are measuring more than 400 parts per million of the heat-trapping gas in the atmosphere. The number isn't quite a surprise, because it's been rising at an accelerating pace. 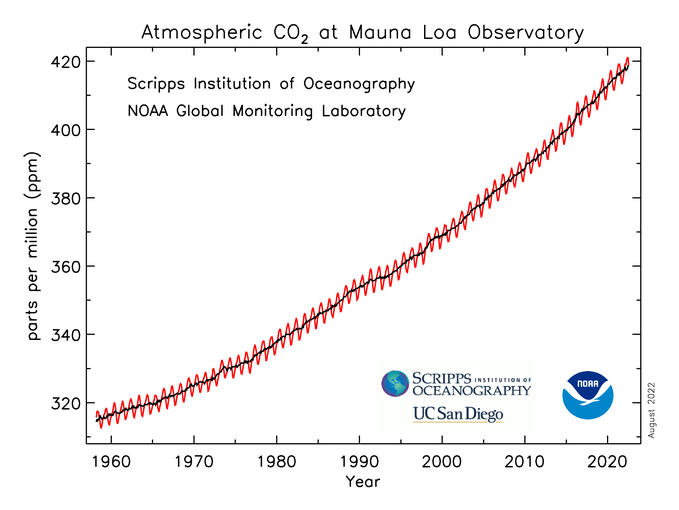 Years ago, it passed the 350 ppm mark that many scientists say is the highest safe level for carbon dioxide. It now stands globally at 395. "The fact that it's 400 is significant," said Jim Butler, global monitoring director at the National Oceanic and Atmospheric Administration's Earth System Research Lab in Boulder, Colo. "It's just a reminder to everybody that we haven't fixed this and we're still in trouble."